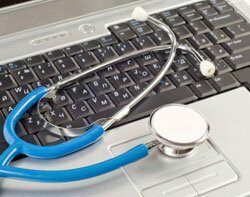 Can the NHS avoid major IT expenditure for joined up health? Integrating heathcare and social care is among the big manifesto pledges the main political parties share in the 2015 general election. But success will require organisational transformation, a willingness to join up working practices and the politically sensitive issue of major IT expenditure on a health service heading for a £30bn funding shortfall by 2020. Perhaps there is another way? This was among the key topics discussed at a recent panel debate. NHS England’s Five year forward view plan, published in October 2014, stated the NHS would take decisive steps to break down the barriers in how care is provided between family doctors and hospitals, between physical and mental health, between health and social care. "The future will see far more care delivered locally but with some services in specialist centres, organised to support people with multiple health conditions, not just single diseases," NHS England said. Joining health and social care systems is one of the major challenges for the NHS. It is an ongoing problem, leading to often avoidable human tragedy. Inquiries following cases such as Baby P and Victoria Climbié have found that children at risk were not identified as such, due to lack of co-ordination between hospitals, social care and the police. Sharing data across health and social care poses technical and organisational challenges. Application providers and the organisations themselves may not be willing to share data. NHS England has set up the National Information Board (NIB) bringing together organisations from across the NHS, public health, clinical science, social care, local government and public representatives with a remit to transform digital care. One of the key areas the NIB will focus on is fully interoperable electronic health records (EHR) where a patient’s NHS number would be common across NHS and social care systems to aid integration. This is part of a five-year plan. Systems are not integrated and joining up health and social care systems is complex. Speaking on the panel, Sarah Royles, service development manager at Nottinghamshire County Council, said: "We can get out whatever information we need from whatever system, subject to APIs [application programming interfaces] being available." But at the moment, she said local government staff needed to log onto two separate systems to access information local government and health systems. Panel member, Graham Softley, associate director of IT strategy and delivery at Buckinghamshire Healthcare NHS Trust, said: "Automating these complex processes takes time and a path to follow." However, using mobile devices across the NHS is regarded as one of the enablers to make it possible to start joining these systems and processes together. Softley said: "One of the benefits of the mobile working is to be able to update the EHR actually in real time, or close to real time, and I think the mobile working piece allows us to do that." Previously, at Buckinghamshire, he said that due to the lack of internet connectivity, nurses out in the community needed to go back to the hospital at the end of the day to update the EHR. He said mobile working helps to keep medical records current. Softley said he expected EHR and mobile working would evolve together. "The mobile working piece is the enabler. It is what actually helps us to build and move forward on things like improving the recording of medical data." In fact, data could be collected during patient visits, to enhance the electronic patient record, said Gareth Tolerton, CTO of TotalMobile, which organised the panel debate. He said this data would then be used to drive the care service. "Because you are doing work digitally and capturing digitally, the next nurse is better informed." A social care worker’s visit could be logged similarly if a common patient identifier – such as the NHS number – were used. Such mobile data capture is already being used at Bromley Healthcare to improve the quality of care. Jonathan Lewis, a member of the audience at the panel discussion and CEO of Bromley Healthcare, said: "We are trying to introduce live real-time clinical safety systems. If you use EMIS on a tablet, every time you inject someone with Clexane (for treating blood clots), say, you should be able to tell that in real-time sitting at your desk." By knowing the dosage of the medicine that had been administered, clinicians would then be able manage the quality of the care they provide. The advent of technology such as IBM’s Watson Heath cloud means clinicians can exploit cloud-based cognitive computing as part of a clinical consultation. Such systems can be accessed from a mobile device along with the latest EHR data, allowing them to make more informed clinical decisions. Simon Wallace, an independent healthcare IT technology consultant and former GP who participated on the panel, said: "The whole mobile working piece is having information at my fingertips, out in the community wherever I am at the time I need it. I think that is real opportunity, not just for GPs, but for healthcare professionals." But the true benefit of mobile devices in the NHS could be their ability to provide healthcare and social care professionals with access across disparate NHS and social services IT systems. Panellist Julia Clark, CEO of Bristol community health, said mobile working – along with interoperability and integrated systems and telecare – was important to support integration and out-of-hospital care; for instance, care home staff need to use mobile devices. She said: "There is no access to hospital GP or community records in a care home so you have to use a mobile system."